It’s November, which means that winter will soon be here. For less fortunate students at Salt Lake Community College, the cold months bring an urgent need for food and warm clothes. Thankfully, the Bruin Pantry provides help to those in need with supplies donated by students and community members. The pantry strives to provide quality food that is nutritious and safe, while raising awareness and informing students about their access to community resources. “We provide free food and clothes for students in need. They are allowed eight bags per month. It varies on how much we get each month because we get a lot of donations,” says volunteer Tiara Wells. 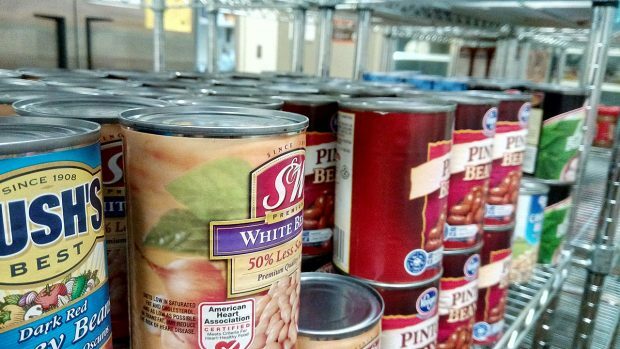 The SLCC pantry has a partnership with the Utah Food Bank and receives one food delivery a month. It has become a popular resource for students. “Since last October, we average about 400 bags per month in our pantry,” says pantry coordinator Lisa Mathes. Many SLCC students serve as volunteers to make sure the Bruin Pantry runs smoothly and effectively. The volunteers primarily help stock and collect donations around each campus. The pantry provides flexible hours to student volunteers who are balancing school as well as work. The Bruin Pantry also accepts community donations. Individuals can drop off their items at any of the locations across campus. 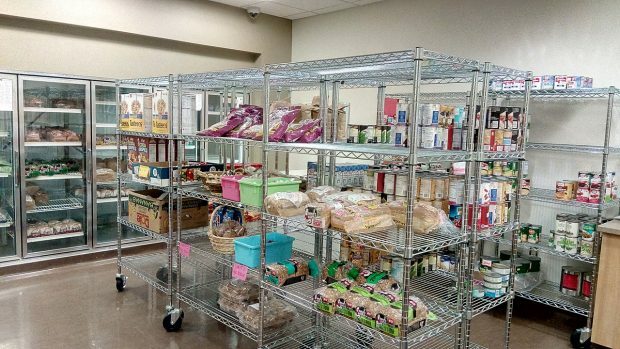 SLCC operates pantries at Taylorsville Redwood, South City, Jordan and West Valley campuses. Hours of operation may vary depending on volunteer availability. For more information, call the Taylorsville Redwood Bruin Pantry at 801-957-4060 or the South City Bruin Campus Cupboard at 801-957-3005.